When casino gaming recently exploded in the popular media you couldn’t escape it’s far reaching influence. In various outlets and all over the internet, live multiplayer poker games popped up offering everything from lessons to leagues with promises of large payouts, and in standard fashion the public flocked to them by the millions. After slowly dying down it appeared to be another “trend”, but in actuality it was quite the opposite. Experiencing a resurgence in popularity, games like these have been around for years in the form of full fledged online casinos, but the roots of the online casinos go much deeper than one would expect. As far back as the 1970s random number generators were being used in computers to develop simple games based on chance, foreshadowing the relationship between casino gaming and the internet. Although the first internet casinos didn’t begin to pop up until banks could handle large volumes of money digitally, once they did there was no stopping their rapid growth, and soon they would develop different technologies to solidify their real estate on the digital strip. Beginning as simple HTML based operations (some of which continue to run successfully to this day on the platform), online casinos have flourished into independent programs, and Flash and Java powerhouse applications that go to great lengths to make their virtual patrons feel apart of the energy and electricity found in live gaming establishments. 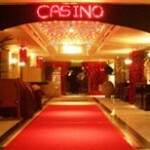 Some even feature live dealers and the opportunity to play in games with casino-faring competition. These simple setups are examples of the three most commonly offered online gaming experiences. The most popular form of online casino gaming comes in the way of a software download that provides for faster loading of large files and the best options in terms of game choice and features. 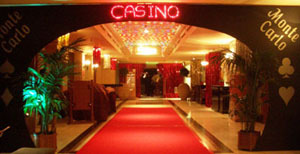 Users opting to take this route can connect to an online casino’s servers and play using a direct connection. For players with a slow connection most sites offer install CDs and will send them at the customers request. Online casinos that shy away from download based solutions can use multimedia programs like Java and Flash to run online gambling setups in commonly used browsers. Although HTML based gaming has no animations or sound , successful sites such as Slotland continue to operate these more primitive games with optimum results. Luckily for the public it’s easy to jump right in and in crazy economic times there are no worries; many online gaming establishments offer the chance to play with real or infinitely computer based money. With a bit of research and luck you can find the hot slots online and be off and counting your winnings in no time! And not to worry, online casinos use military grade encryption when protecting your personal information and earnings. The same security measures afforded at a real casino transplant their ways into the virtual process as well and keep would be hackers from making away with your loot. Guidelines against shady establishments follow suit. Even though online casinos are an enjoyable way to let off steam, there are a few rotten apples that attempt to take advantage of consumers with unsavory methods. Without a greater governing board, for the most part the average web-based casino gamer is responsible for policing these rogue casinos into submission. A casino known as reputable generally has an untarnished reputation and can be trusted to provide an exceptional gaming experience. In the way of combating its’ more sinister brethren and easing the fears of alienated gamers many sites offer trials, but a call and question to customer service is recommended before anything. Any question. A company’s customer service says a lot about the rest of the company and any future encounters you may have with them aside from their gaming tables. When choosing the right casino for you, it’s important that you weigh your options. Give each form of online gaming a chance and see what works well for you. Above all, protect yourself and keep the experience fun.